Valenti Audi is centrally located in Watertown, CT to provide you with the exceptional service you would expect. Valenti Audi is minutes off I-84 and is just a short drive from New Haven, Hartford, Litchfield County, and even New York state. Whether you are looking to lease or purchase a new 2016 Audi or a certified pre-owned Audi, we stock a variety of inventory including A3, A4, A5, A6, Q3 and Q5. Looking for the hard to find unique S3, S4, RS4, S5, S7, S8, or R8? Be sure to check our certified pre-owned inventory often to view many of the unique and rare Audi models we stock. Our experienced and passionate sales staff is available online or by phone to answer any questions you may have regarding your purchase, financing, or trade in. After the Audi sale our service department is available to help keep your Audi sedan, coupe, convertible, or SUV, driving the way you would expect. For your convenience you can schedule your Audi Service from anywhere in Connecticut by clicking the schedule service link at the top of our website, or by calling one of our Audi Certified Service Advisors at 877-464-6080. Our Parts Department is available for all of your parts and accessories needs. We offer Audi exclusive accessories so you can configure your car to best suit your lifestyle. We encourage you to browse our online inventory, schedule a test drive and investigate financing and Audi lease options. You can also request more information about a vehicle using our online form or by calling (866) 428-3408. 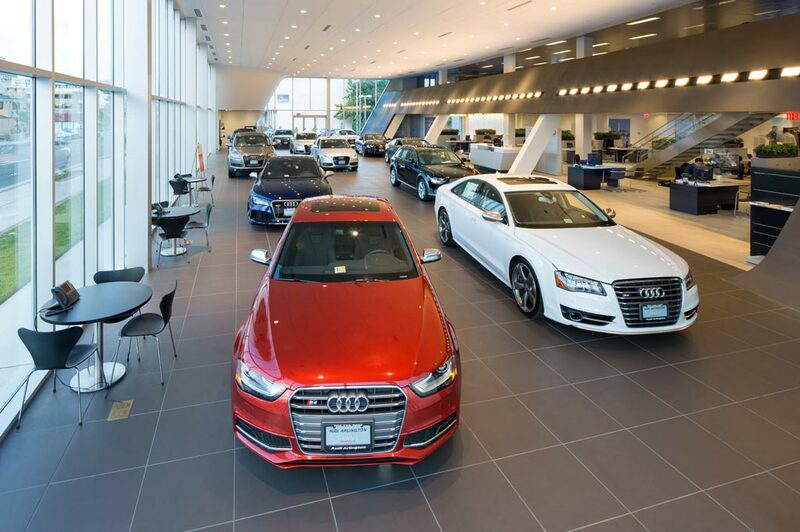 From the newest Audi models to Certified pre-owned Audi sedans, coupes, convertibles and SUVs, Valenti Audi provides an extensive selection of the perfect sport luxury vehicles to suite every driver. If you don't see the exact vehicle that calls to you, click on our CarFinder and complete the form. We will gladly inform you when the matching car arrives. If you'd like a see a vehicle in person, click on Dealership: Directions for step-by-step driving instructions to our site, or give us a call. We look forward to serving you! Since 1986, all of us in the Valenti family have been working hard to serve yours -- and we are grateful for that opportunity!